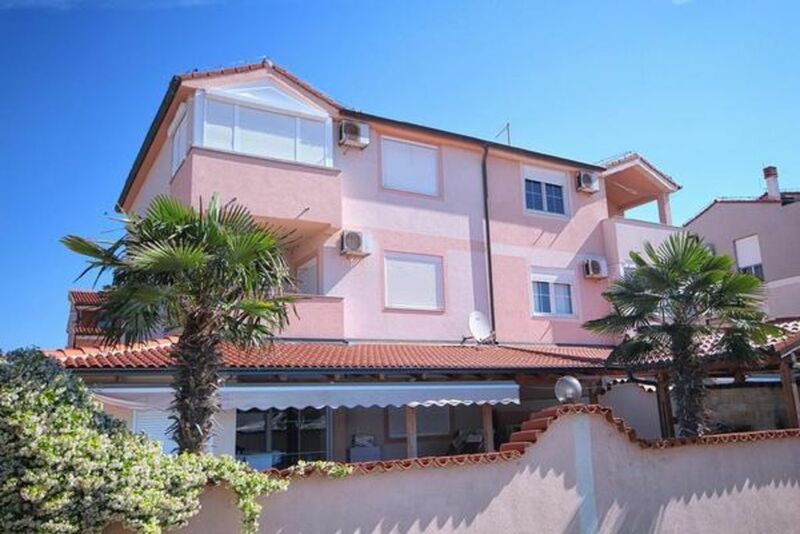 The building is located in a peaceful zone, only 500m from the old town center. The nearest sandy beach is only five minutes by car away. Apartment is very modern, nicely decorated and adjusted for 4-6 people. It is situated on the first floor and has everything for a comfortable vacation: air conditioned living room with sleeping sofa, kitchen, two bedrooms, bathroom and balcony. Kitchen is fully equipped and includes fridge, gas stove, oven and microwave. You also have TV/SAT, WiFi, bed sheets and towels. Parking is in front of the building. Pets are not allowed. Bedrooms are not allowed. Registration: once per person Costs amounting to 3 EUR (Mandatory).